Kind-hearted staff from the University of the Highlands and Islands (UHI) have donated over £5,000 to Befrienders Highland. Students from across the Highlands and Islands have voiced concerns about the impact of Brexit and lecturer strikes at their annual conference in Inverness. Researchers believe a pioneering Highland project to gather information about cancers among dogs in Scotland could improve prevention and care and help efforts to combat human forms of the disease. A teenager held up a Samurai sword in the University of the Highlands and Islands Inverness campus and made threatening remarks. Ancient repairs to a perfectly preserved Iron Age wooden bowl from a 2,000-year-old well in Orkney have amazed experts. Researchers at the University of the Highlands and Islands (UHI) have launched a citizen science project to identify unreported river barriers and increasing understanding of river use across Scotland. A Highland book event is giving local talent the chance to be on the same stage as their literary heroes. Revised plans for a major new healthcare and life sciences centre at Inverness Campus - expected to create nearly 200 jobs - will be unveiled to the public today. An American salon manager has been left devastated at facing deportation after almost five years in Inverness following a visa dispute. A public consultation is to take place on behalf of the University of the Highlands and Islands (UHI) to discuss a proposed new Gaelic Language Plan. The family of a Moray man who died in a crash this week have said it is “impossible to put into words” how much he will be missed. Two new campuses could be created for Moray College UHI as part of an ambitious vision to keep young workers in the region. 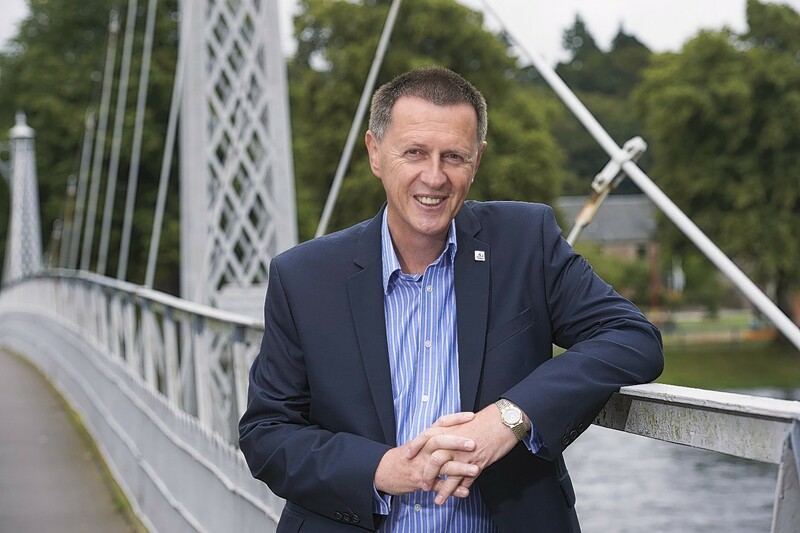 A Highland man has been honoured at the Chartered Institute of Building (CIOB) Scotland with the Open Award. A postgraduate place has been created by the University of the Highlands and Islands for a “groundbreaking” study into the history of the area along the NC500 which could be used for a digital app. NHS Highland has agreed a groundbreaking move to form a university board - the first of its kind in Scotland. Budding game designers from across Scotland flocked to the north-east to try their skills in a 48-hour pressure test. One of the founding architects of the University of the Highlands and Islands has strongly criticised plans for greater integration of its colleges, claiming it goes against the very principles on which it was based. Plans have been submitted for an extension to a former hotel which would create a new single campus for North Highland College UHI in Dornoch. NHS Highland board members have agreed in principle to start branding themselves as a "University Health Board" to help recruit staff and boost reputation. Early neolithic houses and the skeletons of at least a dozen 19th century whales have been unearthed during an excavation on an Orkney island. An entire class of students has failed a higher course in the Highlands for a second successive year. Just a few days ago, Highland Council let Inverness in on its plans to improve the city's museum. Moves are being stepped up to strengthen economic links with Inverness' twin city, Augsburg, Bavaria. Fiona Larg was part of a generation of Highlanders who grew up believing they had to escape the north to make their way in life. A globe-trotting academic with a passion for photography has been named as Inverness College UHI's new principal and chief executive. An innovative Inverness event that will focus on Polish communities in the north has been fully booked.